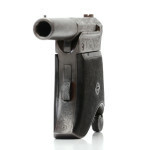 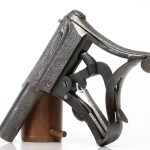 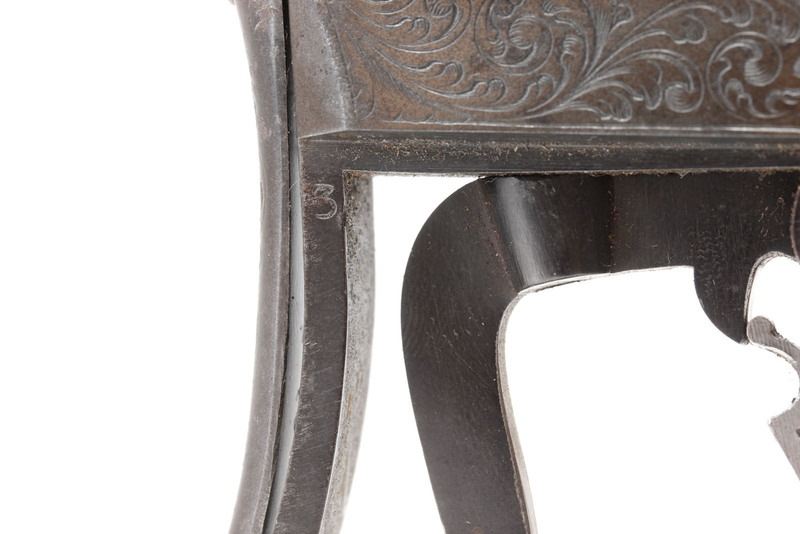 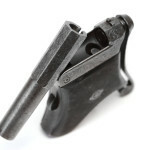 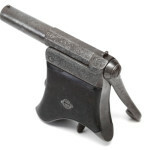 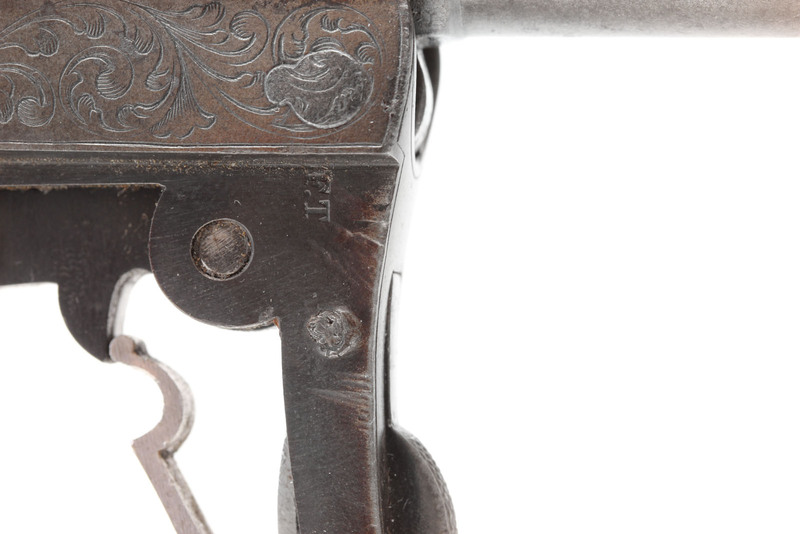 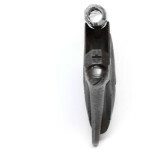 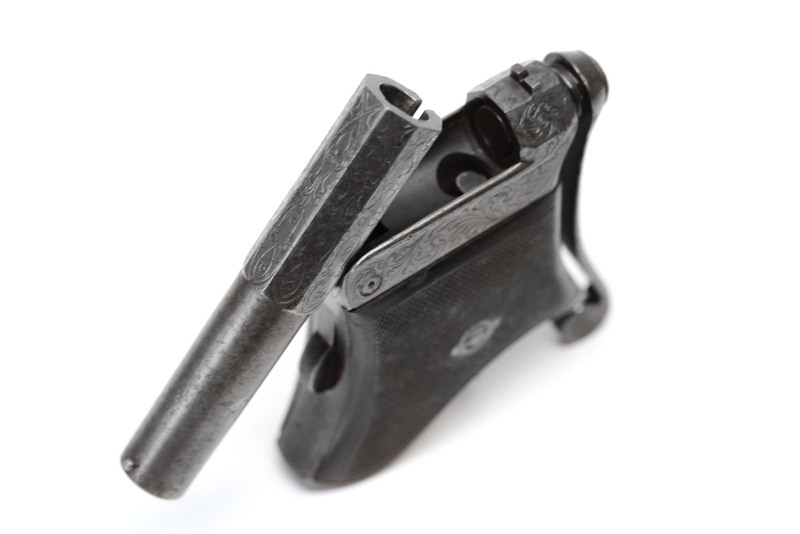 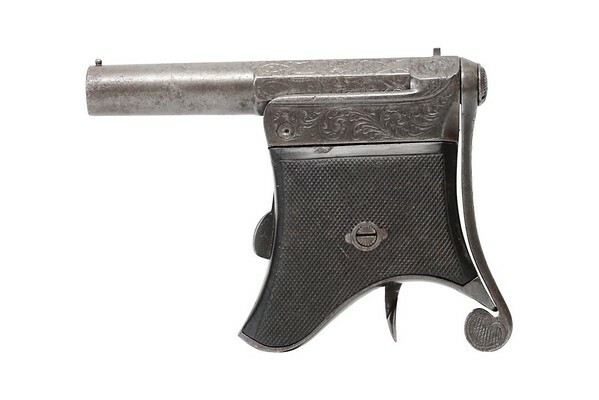 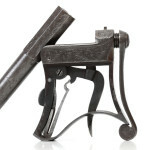 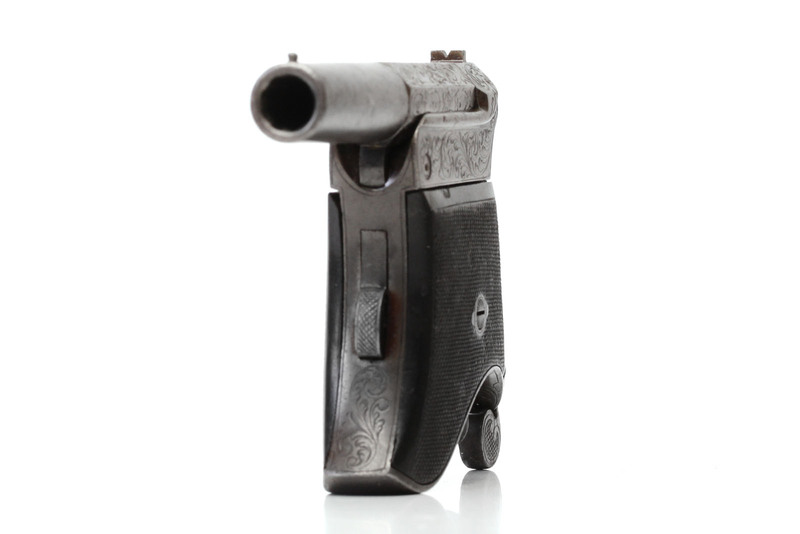 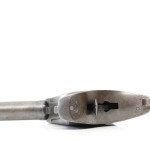 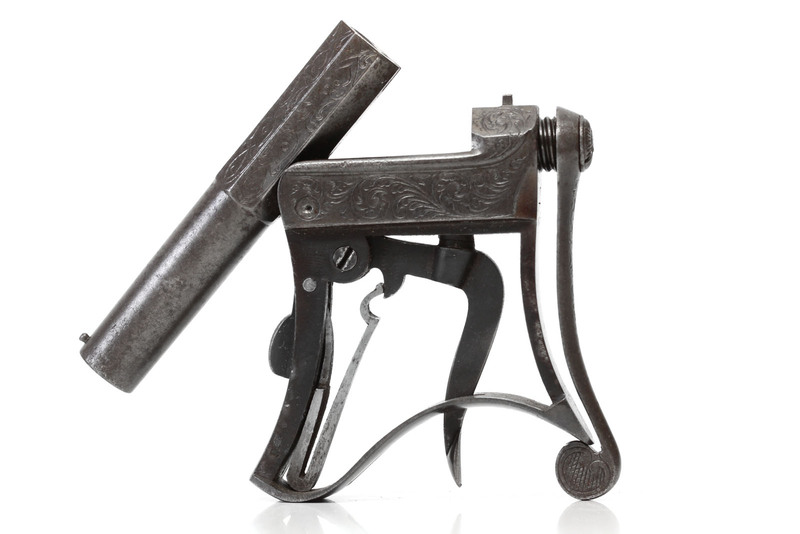 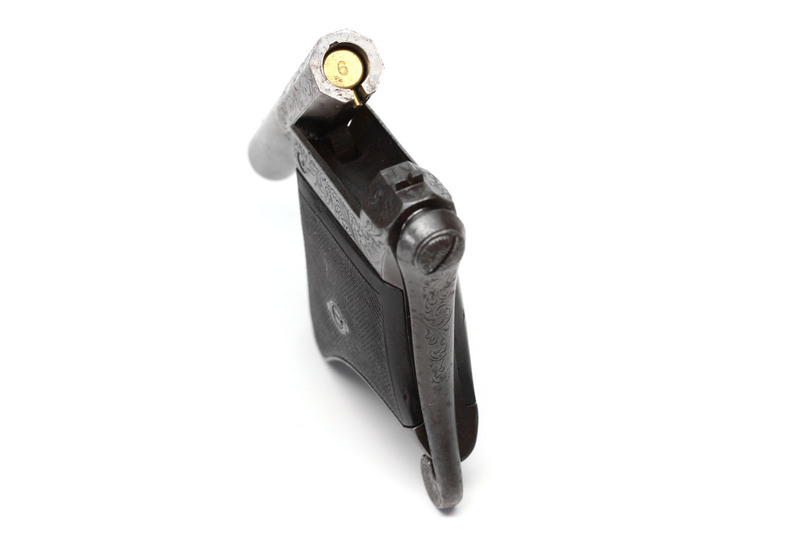 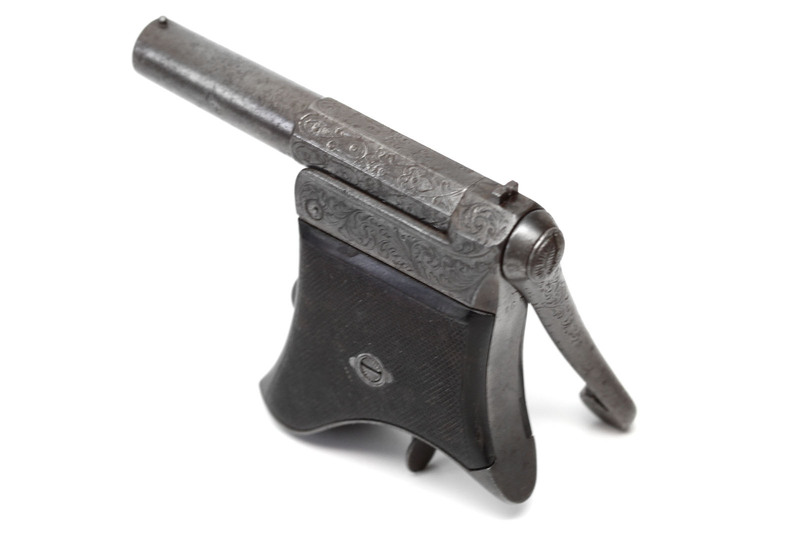 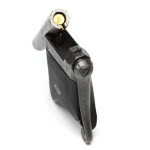 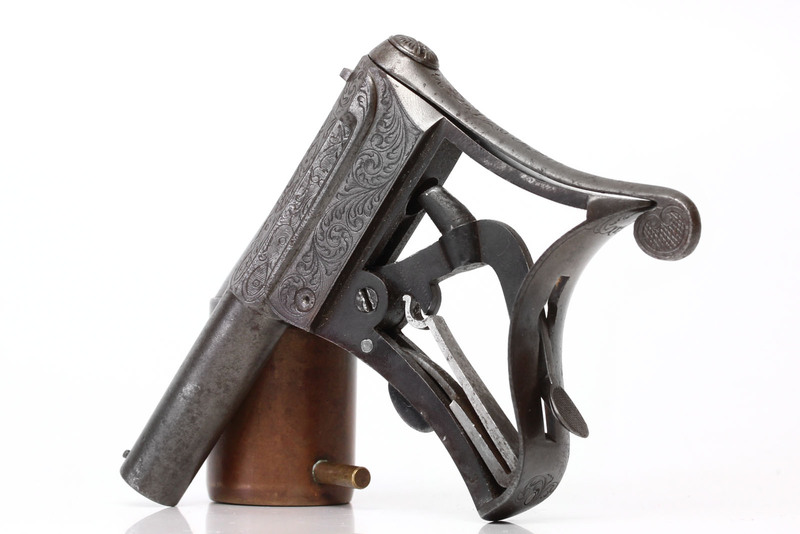 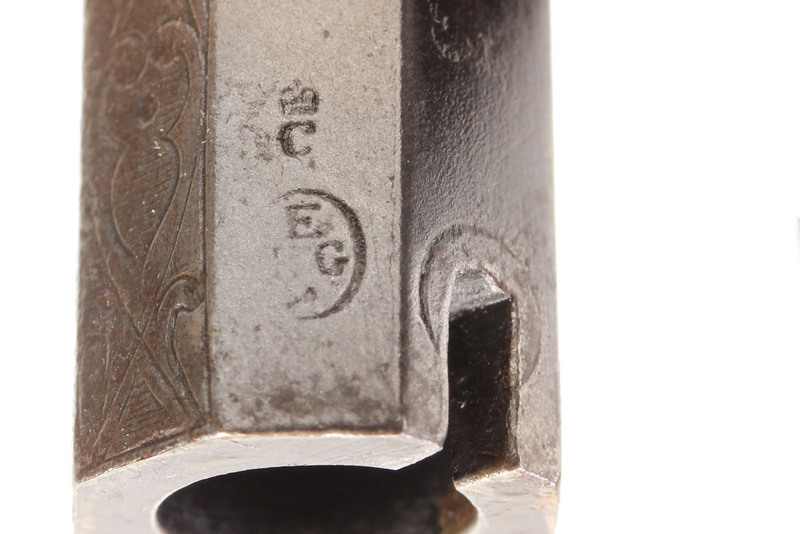 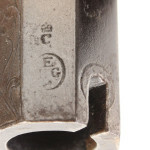 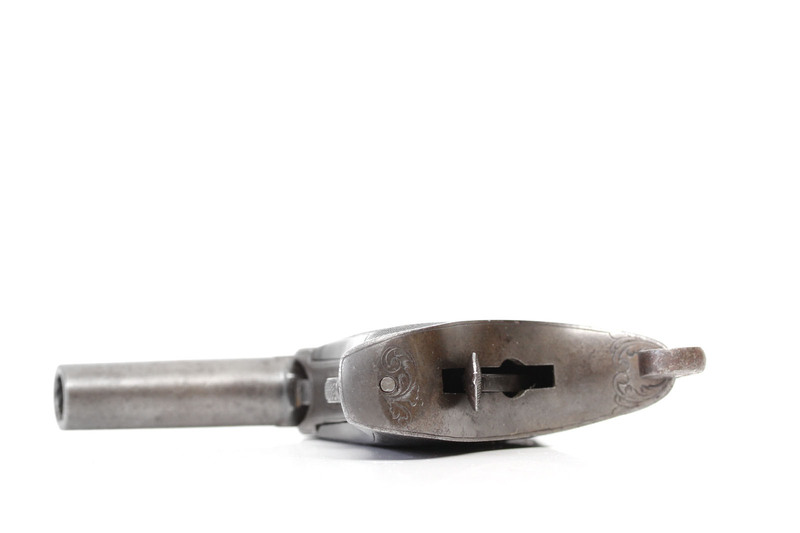 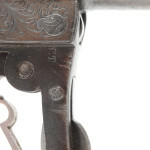 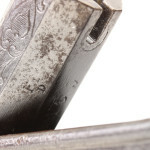 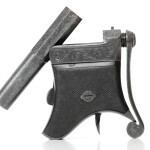 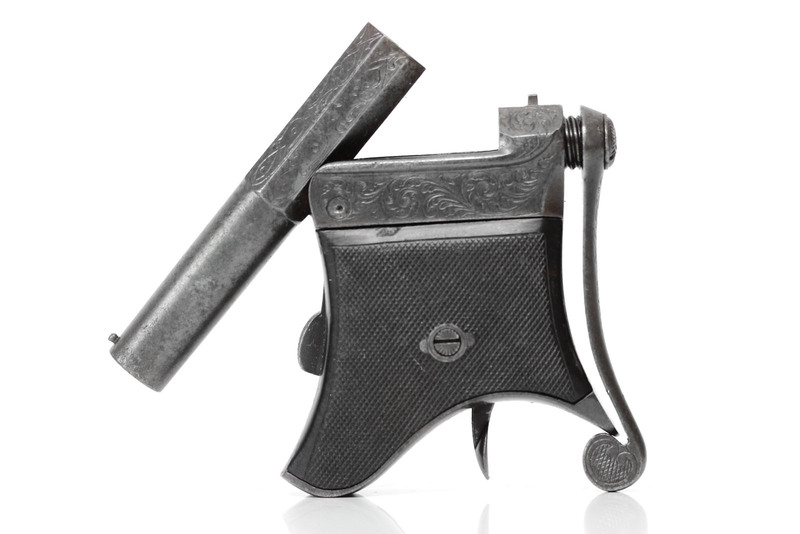 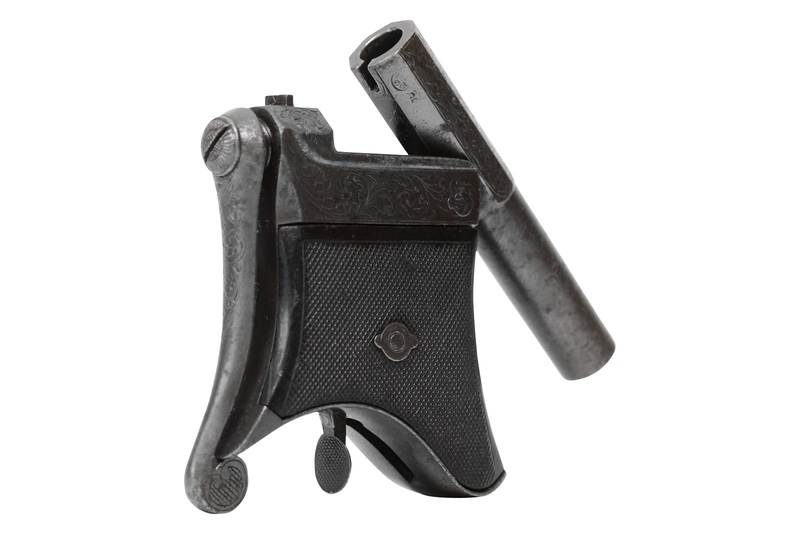 This Delvigne Breech Loading Underhammer Deringer was Manufactured by Falisse & Trapmann in Liège, Belgium. 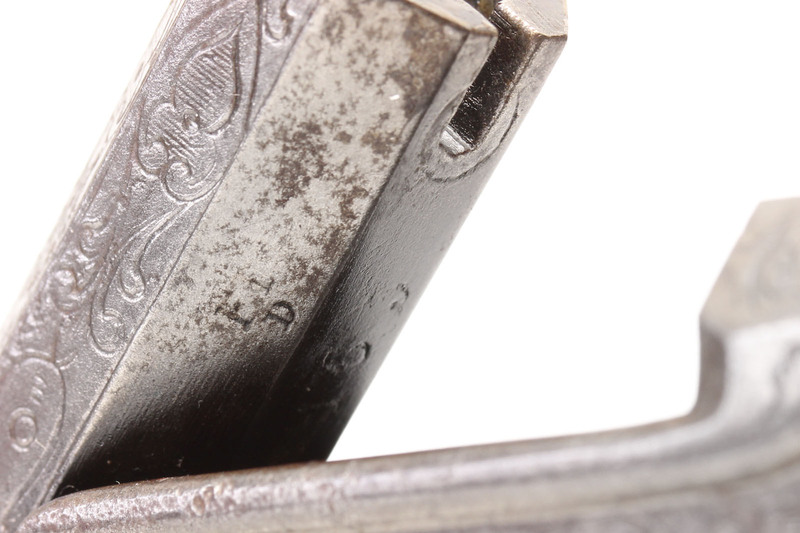 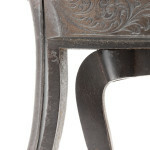 It follows Delvigne’s French patent, 12683, which was issued on 22 January 1852. 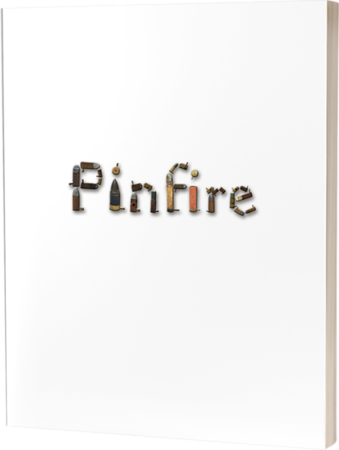 The patent image shows a percussion version, and this is the only pinfire version that has been discovered so far that I know of.